We are committed to providing the most nutritious meals possible for children and work hard to develop tasty recipes. At Great Expectations we like to see busy children, taking part in all that we have to offer and that means they need to feel healthy and full of energy. 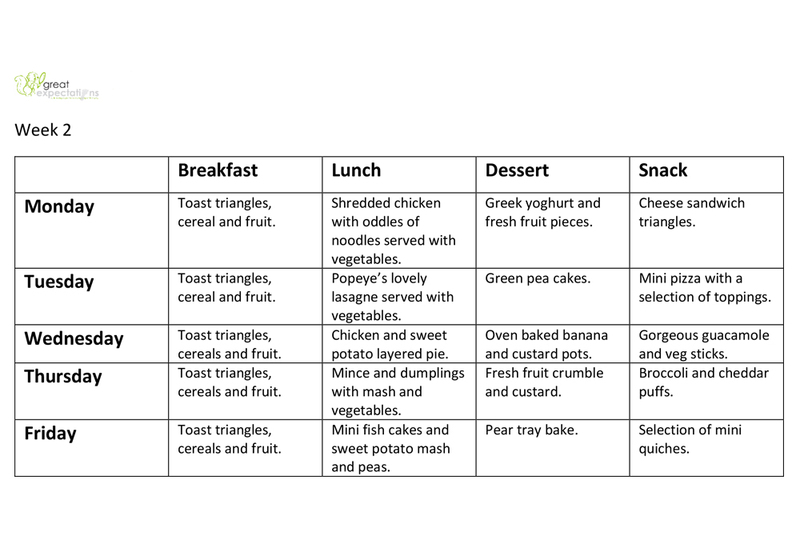 We believe that a healthy, balanced diet is crucial in supplying the nutrients needed to support rapidly developing bodies and minds and we have created our menus to reflect this with the inclusion of lots of fresh produce. We are proud to have been awarded once more the Middlesbrough Council Food Hygiene 5* rating – as good as it gets, following our recent inspection. 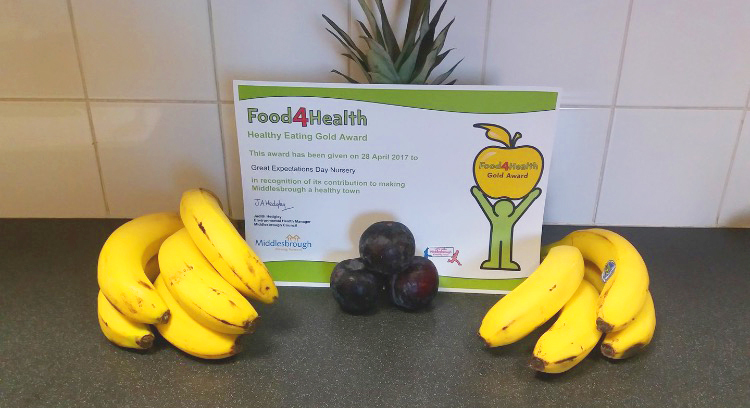 We also hold a FOOD 4 HEALTH “gold award” for providing our children with healthy meals and snacks. Our in house cook Tracy works hard to prepare and cook fresh, delicious, healthy food that our children can enjoy whilst in our care. 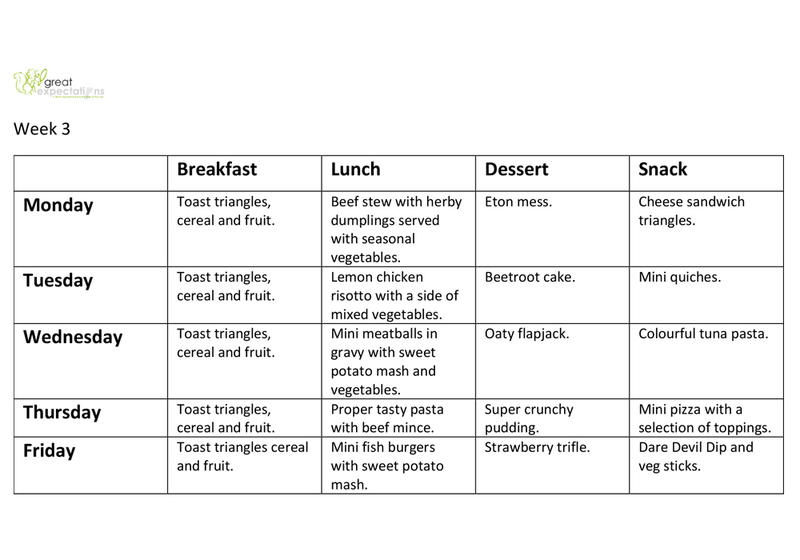 We’ve recently introduced a brand new menu structured by OFSTED recognised company Phunky Foods. 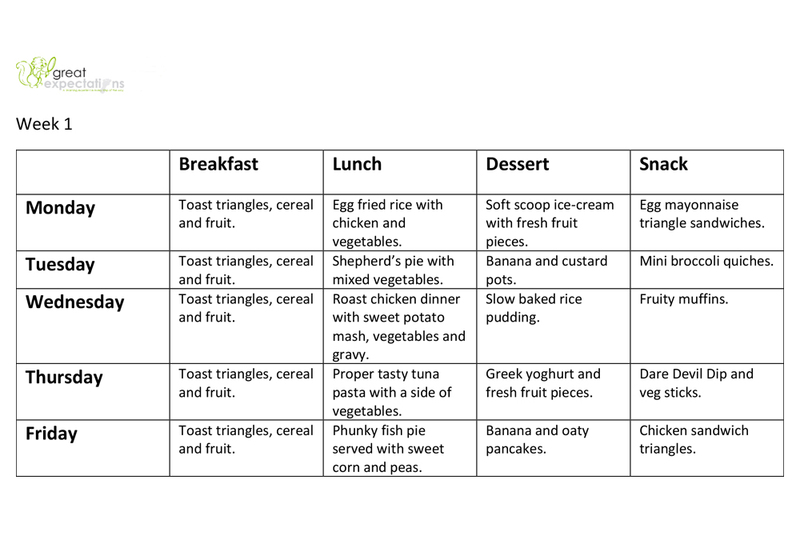 Our menus are on a 3 weekly rotation so the children have the chance to sample lots of tastes and textures. There is a vegetarian option available for those who require one and we also provide alternatives for children with allergies.